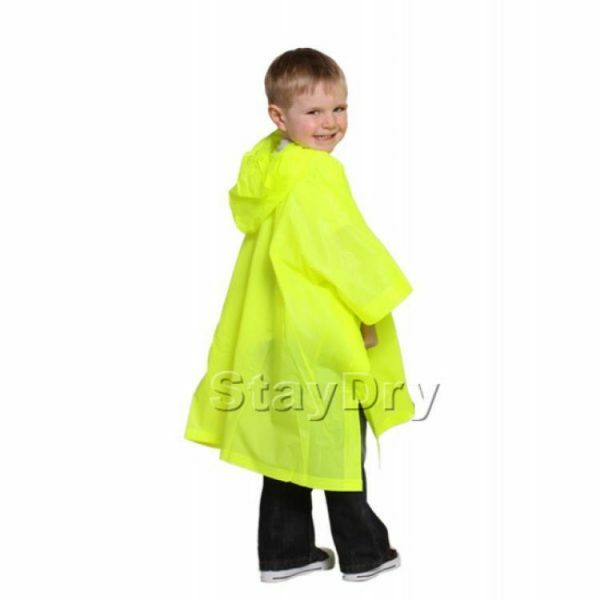 This poncho is available in one size to suit children of 4-6 years. It is available in fluorescent yellow only. PVC Poncho with hood; 34″ wide, 26″ from shoulder to hem; Heat sealed seams; PVC side snaps; May be used as a ground sheet; 34″ x 52″ when laid out as groundsheet; Softer feel PVC. Price: £2.59 each + post & packaging.